Community Against Hate is a network of socially conscious artists educating other artists in commitment to creating a socially conscious society. 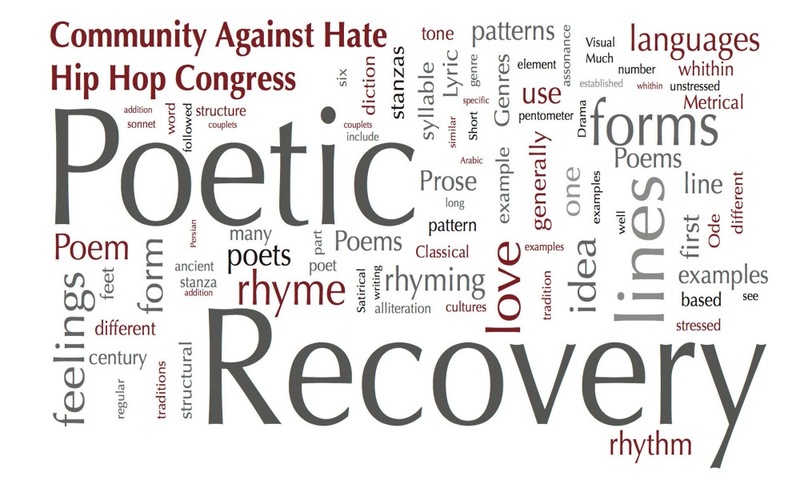 The space created for the change to happen on stage or in workshop is called Poetic Recovery. We need your support to keep going. Your support helps create a more intelligence and Peaceful community. I have been working on the website to distribute the music of positive hip Hop and other music with a good message. This month for Domestic Awareness Month I am promoting Mocha Blue Blaze. I will be working to get at least 15 positive artists on the site and many will be local artists. 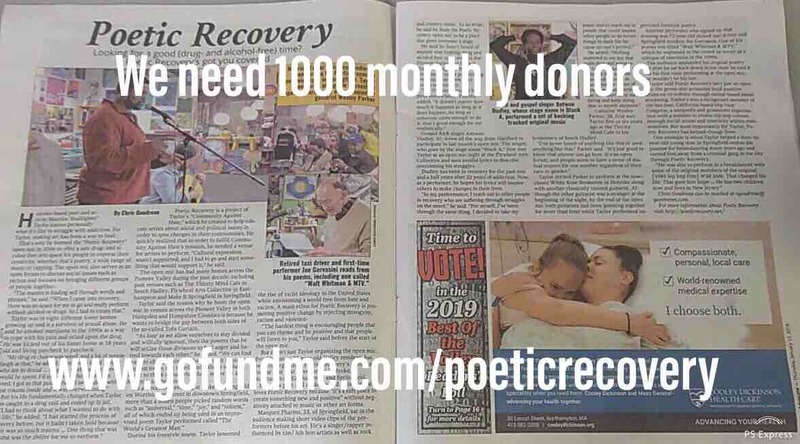 Poetic Recovery open mic is in three cities now. Holyoke, Springfield Ma, and Easthampton. We are working on a 4th to complete our poetic circle. Which will include musical artists as well. Community Against Hate is a network of socially conscious artists educating other artists in commitment to creating a socially conscious society. The space created for the change to happen on stage or in workshop is called Poetic Recovery. We need your support to keep going. We want to bring Dj Johnny Juice if Public Enemy and Last Poet Abiodun Oyewole to our communities to enhance upcoming artists about the power of music and their words and using to build community. Your support helps create a more intelligence and Peaceful community. Thank you. This is some of THE most important work that needs to be done NOW. Maurice is amazing and has already helped thousands and it is highly worth it to support him and his work.